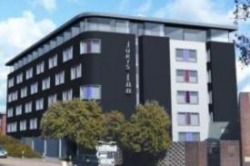 Located on the Western Way in the city centre, Jurys Inn Exeter is a contemporary hotel, providing the perfect base from which to explore Exeter and the surrounding area. The spacious rooms are stylishly furnished, with an en suite and power shower. All rooms have a flat-screen Freeview TV. 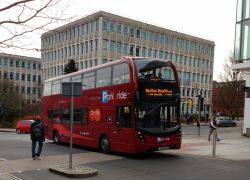 Jurys Inn Exeter is conveniently situated a 2 minute walk away from Princesshay, a contemporary shopping quarter. 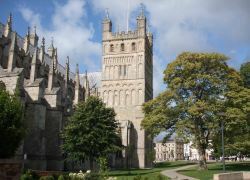 Other local attractions include Exeter's historic quayside and Exeter Cathedral. Wireless internet is available in the hotel. Guests may enjoy a drink in the stylish bar or dine in the comfortable restaurant. 7 meeting rooms are available for business and events.